The Tango mattress review process was recently kicked off by the Mattress Junkie team. As you can see from the photos, Tango arrived in perfect condition and was packaged very nicely. The mattress was compressed and rolled extremely tight in an 18’x18’x40′ box so delivery in the city was a breeze. The compression made transport up several flights of stairs really easy and was easily carried by one to two people depending on personal strength. Tango does recommend being cautious when carrying the mattress. Tango mattress weight ranges from 45 pounds for a twin to 95 pounds for a California king. 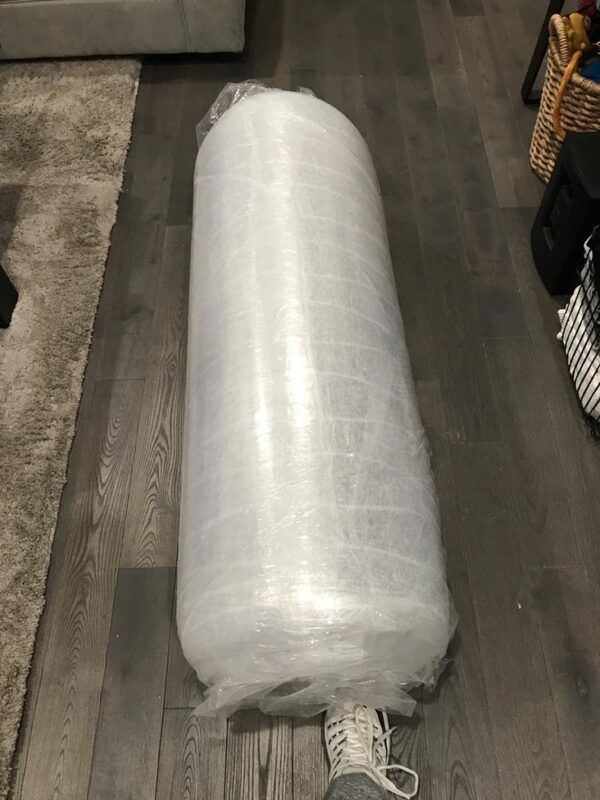 The Tango mattress was easily unrolled from the plastic wrap that was holding it together tightly wrapped. Tango recommends unrolling the mattress within 3 months of arrival to achieve the best results. When unrolling the mattress, you should avoid cutting the plastic until you are at the very end and all the wrap has been rolled off. It was relatively easy for two people to simply peel back the rolled wrap. 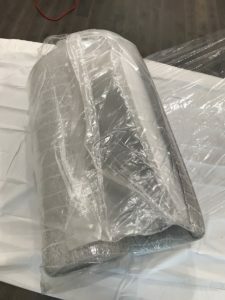 Scissors were used to cut the mattress from its packaging at the final stage of the unboxing only. Once air hit the mattress, it immediately began to expand. Tango recommends waiting 48 hours for the foam to regain full firmness but also notes that laying on the mattress before 48 hours will not harm the structure. Tango also states that mattresses need 24 hours to fully take shape. 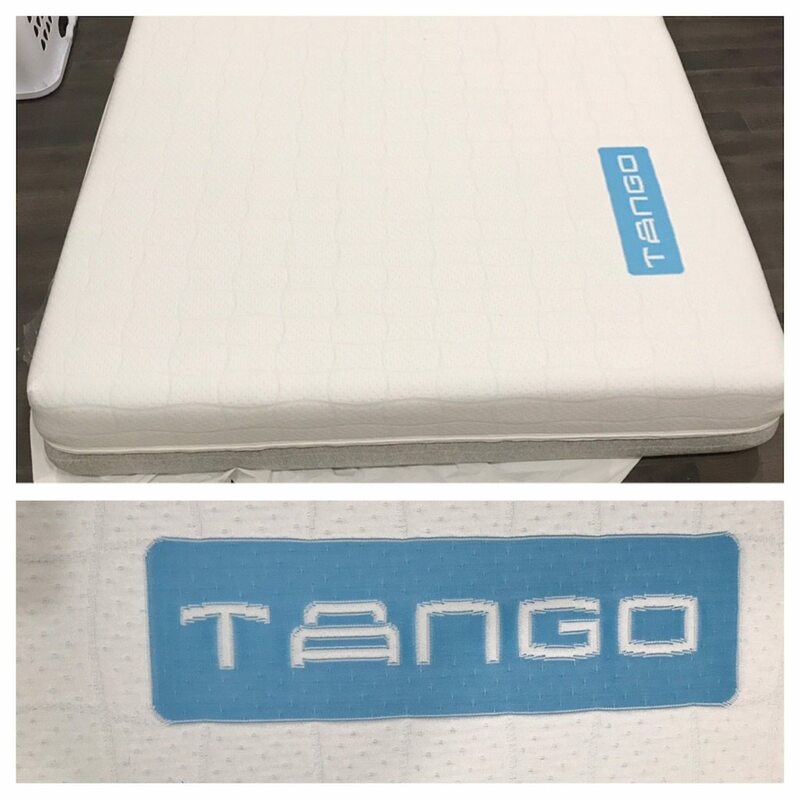 We found that our Tango mattress took shape extremely fast and was in sleeping shape almost immediately. Since Tango has a plush and firm side to suit a wide range of consumer sleep preferences, its important to try out both sides of the mattress for a few nights before making a decision on which side is best for your sleep habits. Our Tango mattress expanded to 10.5 inches within 15 minutes of opening and was at a full 12 inches within an hour. The mattress was in perfect condition with no creases present. The compression shipping was a huge perk living in the city and transporting up 3 flights of stairs. If the mattress would not have come rolled up, we wouldn’t have been able to transport it without movers. The compressed shipping is a huge perk for many people living in tight, urban spaces. 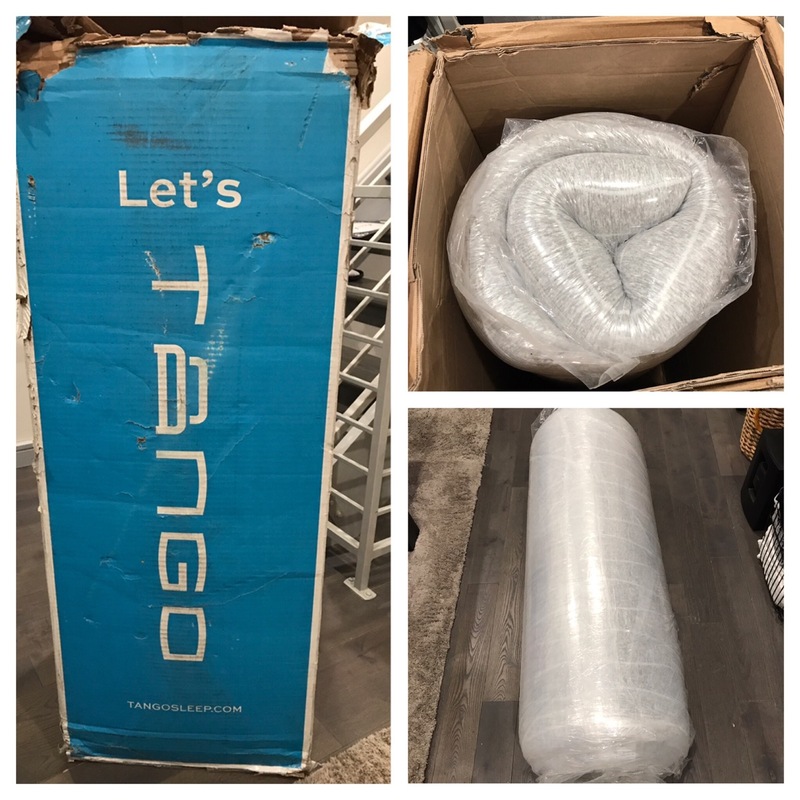 Tango ships all mattresses for free so annoying delivery fees are not an issue like you would have at many brick and mortar mattress stores. Tango mattress ship out within 1-2 business days of ordering and take 3-7 days to arrive depending on your location. Tango is available for shipping within the US. The Tango mattress is comprised of 5 different layers. The body of the mattress is made up of 4-inch Inner Core stabilizing foam. The inner foam provides a strong base for the dual sides to keep their individual levels of comfort. 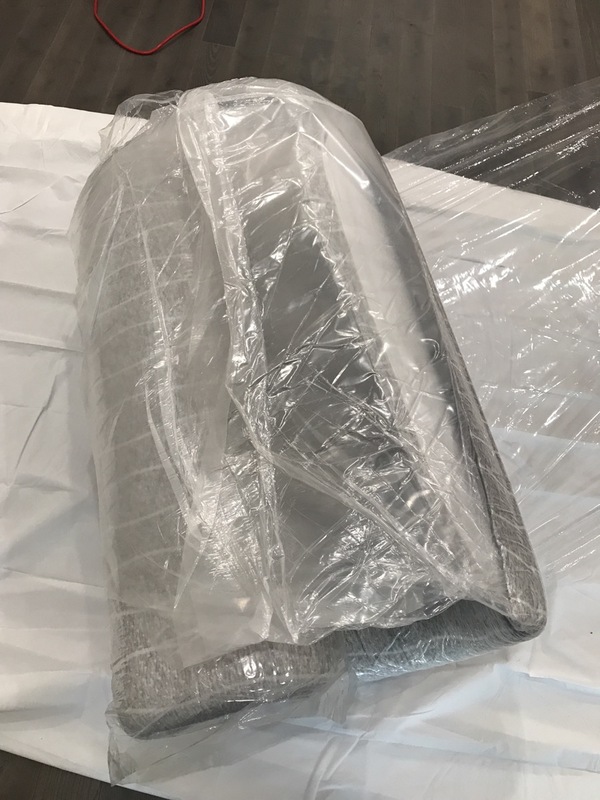 The next layer outward is 2-inches of thick supportive foam and manipulated at varied firmnesses to maintain the Pillow Plush white side and the Sleep Sturdy gray, firm side regardless of which is used. A 2 inch layer of Dual Conform gel that conforms to the body makes up the next layer. Last but not least, the temperature regulating cover of the Tango mattress allows you to sleep cool throughout the night. IS the Tango Mattress made of safe materials? Tango is made of foam materials that are CertiPUR-US certified safe. CertiPUR-US certification guarantees that your Tango doesn’t contain any harmful ozone depleters; PBDEs, TDCPP or TCEP (”Tris”) flame retardants; mercury, lead, and other heavy metals; formaldehyde; or phthalates regulated by the Consumer Product Safety Commission. 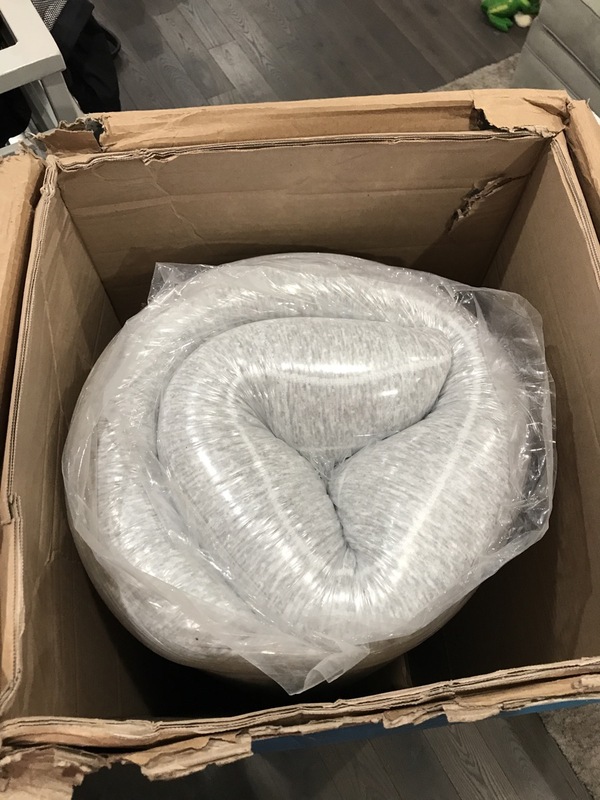 All materials used in making the Tango mattress contain Low VOC (Volatile Organic Compound) emissions for indoor air quality (less than 0.5 parts per million). Tango mattress is flame retardant and has been rigorously tested through burn tests so you can rest assured that you are not harming the environment and helping your own health and safety. What’s the warranty and guarantee on a Tango Mattress? Tango will give you a full refund if you decide you don’t like the mattress within 120 days of purchase. Tango will also arrange to remove the mattress for you and donate it to a local charity. 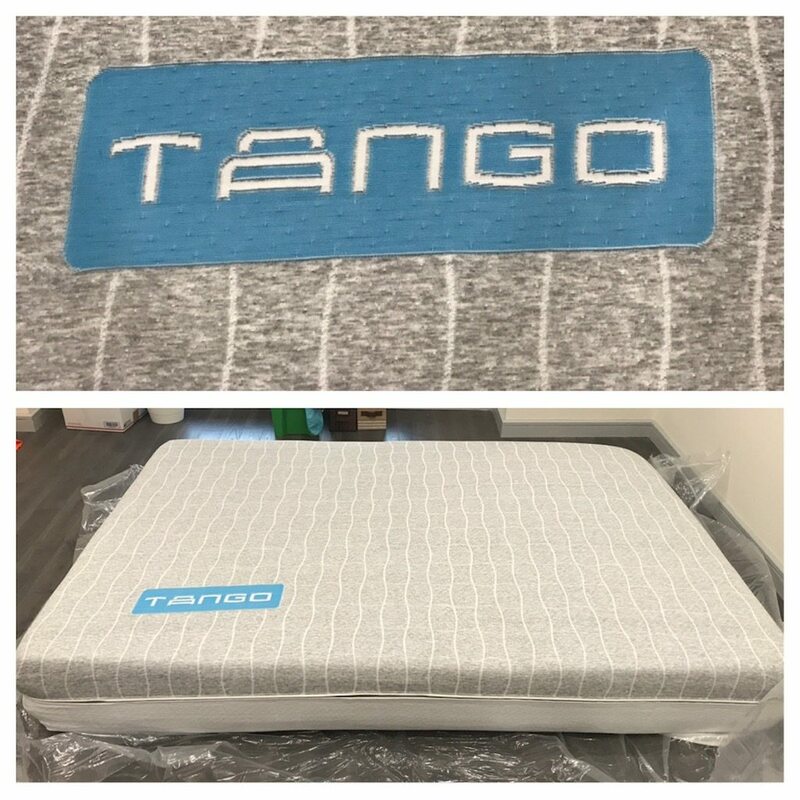 Tango recommends 30 days of testing before a consumer makes a final decision on their mattress but will remove and refund at any time by calling customer service. Every Tango mattress comes with a 10 year guarantee. 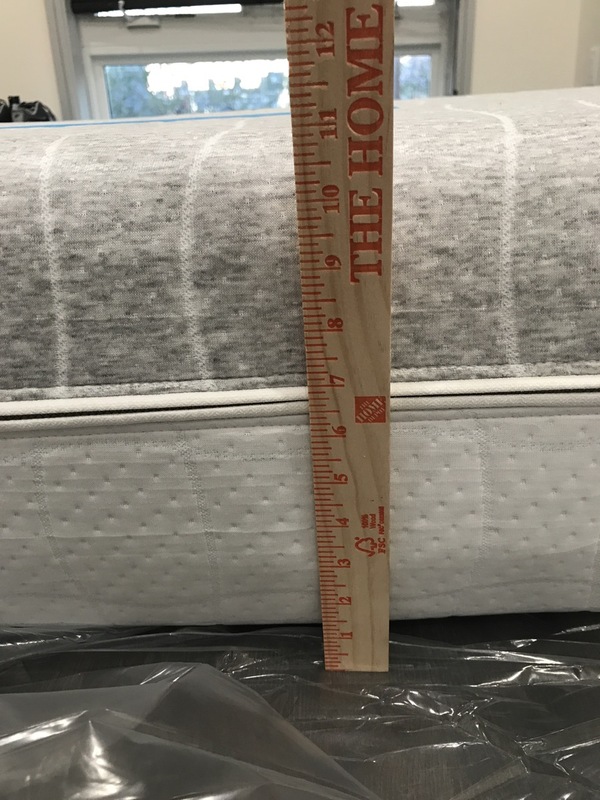 Any mattress deemed defective from manufacturing error, as defined by sagging or unrecoverable body grooves in the mattress at over 1.5-inch in depth, are replaced at no cost. What Type Of Surface Is Recommended For My Tango Mattress? Tango mattresses are best if laid on a solid surface. Platform bed, metal bed frame with a Bunkie Board (flat board resting over the base) or any well-constructed slat base would work great with your Tango mattress. If you have slats, you should verify that they are not warped or farther than 3 inches apart for best results. 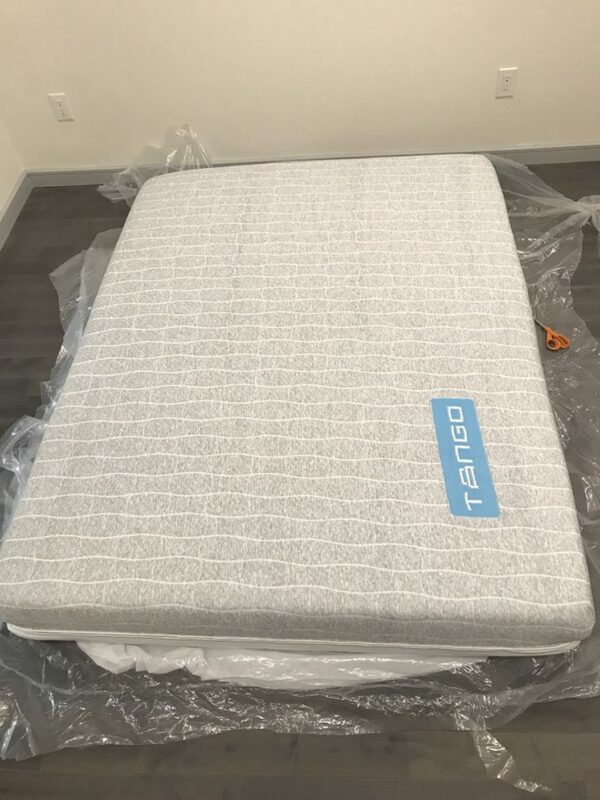 Tango Mattress Review: What’s the cost? Tango mattresses vary in cost. Tango is running a $200 off special so that gets the price down to a very reasonable $449 for the twin, $449 full, $699 queen, $799 king or California king. Tango mattresses are an excellent buy at a great price. 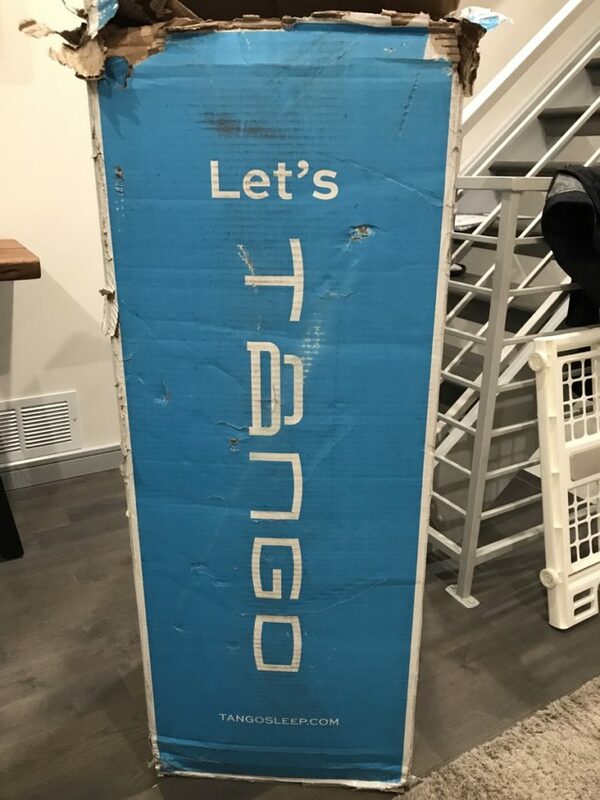 The Tango Mattress is a unique concept within the new bed in a box craze. Tango Mattress has a patent pending 5 layer construction that offers two comforts in one bed. With one side soft and the other firm it gives the customer the option to choose their preferred comfort within their home by just flipping the mattress. Both comforts have been tested by the Mattress Junkie team and although very different both are extremely comfortable. The soft side gives great pressure relief without giving that sinking feeling and the firm side gives great support without feeling like a rock. We were hesitant to think they could create 2 feel differences all within 12″ but they have mastered it. To keep you sleeping cool Tango uses two components within the mattress, the combination of phase change technology in the cover and gel memory foam will help pull heat away from the body keeping you comfortable throughout the night. 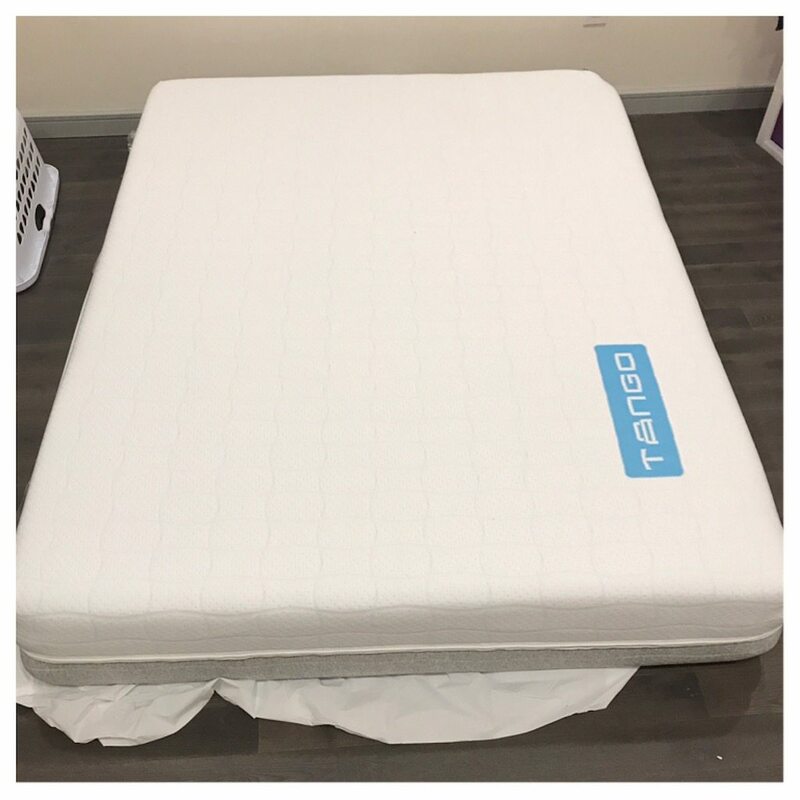 We tested other mattresses that offer multiple comforts but as far as convince Tango is by far the easiest option, all you have to do is flip the mattress over to change the comfort. Our team is pretty confident that one of Tango’s two comforts options would fit most buyers. We recommend this mattress to anyone on the fence about which comfort they prefer. To learn more about Tango, click here. Code Save30 takes 30% off any mattress purchase.